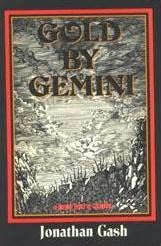 In Gold from Gemini (1978), a Crime Club Choice published in the United States as Gold by Gemini, a brilliantly forged picture puts Lovejoy in search of a dead artist whose cryptic diaries and Roman coins cause the death of a broken-down dealer. Lovejoy follows the diaries and the Roman clue in search of a treasure trove of early Roman coins. His adversary, "one of those sick cold people who impelled more normal people into lunacy," threatens him and wins over his companion. Lovejoy can understand greed and even murder, but when he learns his pet birds have been killed, gruesome deaths ensue. Though clearly a genius possessed of all-inclusive knowledge in his profession, a diviner who intuitively and mystically responds physically to genuine antiques, Lovejoy remains perpetually hard-up for funds throughout this book and the others in the series. His water, electricity, and telephone are regularly cut off for nonpayment, and he depends on water from a well in his overgrown garden; his cottage is, says Gash, "grotty with a flagged floor." Yet, possessing genuine antiques so consumes his life that he has no time or money for anything else. He is forced to baby-sit, do farmwork, and even sell stolen handkerchiefs in the rain to survive from day to day; he borrows where he can, owes friendly waitresses the price of an occasional meal, jerry-rigs his ancient car, and in emergencies finds himself caught short without change for a vital telephone call. He squirrels away his treasures in a basement room whose only entrance is a trapdoor hidden beneath a worn rug; adjacent to his cottage is a jumbled workshop where he plies his trade, restoring, reproducing, and downright forging. Gash's enthusiasm for antiques and for the techniques by which they were originally made and later forged is an essential feature of the series. A reviewer in Library Journal (1 December 1977) argued that Gash's novels "could almost be used as . . . primer[s] for the trade in small antiques." Readers learn the ease with which fakes can be created and the distinctions between some fakes and the real goods, in other words, tricks of the trade whose exposure antique dealers probably resent. As he moves in and out of antique shops, shows, and private homes, Lovejoy provides a running monologue of tips about purchases and repairs. He also explains with care and love the skill involved in producing fine craftsmanship. The joy of antiques for both Lovejoy and his creator is the risk of human error and the infusion of human love. 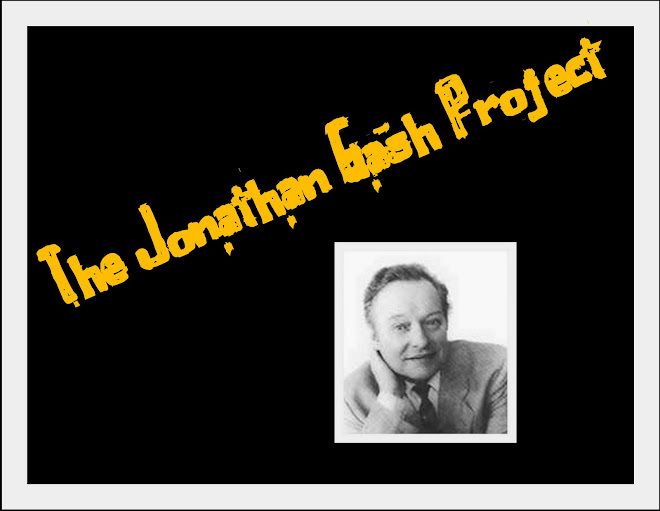 The precision of the technical process description is indicative of Gash's expertise in this area: he has tested out the strategies he has Lovejoy describe and advise. Dictionary of Literary Biography, Volume 276: British Mystery and Thriller Writers Since 1960. A Bruccoli Clark Layman Book. Edited by Gina Macdonald, Nicholls State University. Gale Group, 2003. pp. 160-174.